This volume is the first, comprehensive and balanced historical account of the momentous Nigeria-Biafra war. It offers a multi-perspectival treatment of the conflict that explores issues such as local experiences of victims, the massive relief campaigns by humanitarian NGOs and international organizations like the Red Cross, the actions of foreign powers with interests in the conflict, and the significance of the international public sphere, in which the propaganda and public relations war about the question of genocide was waged. A. Dirk Moses is Professor of Modern History at the University of Sydney. He is the author and editor of many publications on history, memory and genocide, including Colonial Counterinsurgency and Mass Violence: The Dutch Empire in Indonesia (2014, edited with Bart Luttikhuis) and the Journal of Genocide Research (senior editor). Lasse Heerten is head of the project ‘Imperial Gateway: Hamburg, the German Empire, and the Making of a Global Port’ at the Freie Universität Berlin. Prior to this, he was a Postdoctoral Fellow in Human Rights at the University of California at Berkeley. 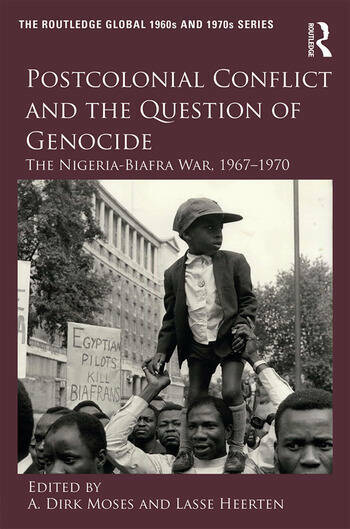 His first book, a global history of the humanitarian crisis in Biafra, will be published by Cambridge University Press.